Just about everyone’s experienced file loss of one type of another. The worst is when a system crashes, is damaged, or is stolen, and the files can’t be recovered, and you lose everything. But even accidental deletion or overwriting one file can mean precious memories gone forever or tons or rework you have to do to recreate something. Backing up your data regularly is crucial to avoiding loss of important files, like vacation photos and videos, work projects, and game saves. But not everyone knows the best way to back up efficiently that isn’t time consuming or prone to errors. We’re often called in to try to recover files when a PC crashes. Michalek Tech Help is one of the top computer repair shops serving the southern half of Kansas City, and whether it’s hard drive replacement and backup or custom desktop upgrades, we provide quality and affordable service. One thing we stress to our clients is the importance of a regular and reliable backup system for all of their devices, so files are protected no matter what. Mobile devices now hold many of our most treasured memories, so backups need to accommodate a variety of devices these days. Dangers that face all computer users and that can wipe out their data include viruses and malware (like ransomware) that are engineered to damage or encrypt files. And while you may think you’re covered with your backup, if you’re not vigilant, you might find your files aren’t as recoverable as you thought. Do you have a false sense of security with a backup system that might not be doing the job? We’ll get into some common do’s and don’ts about backup management shortly, but first let’s see what a good backup system looks like. What does a good backup program look like? 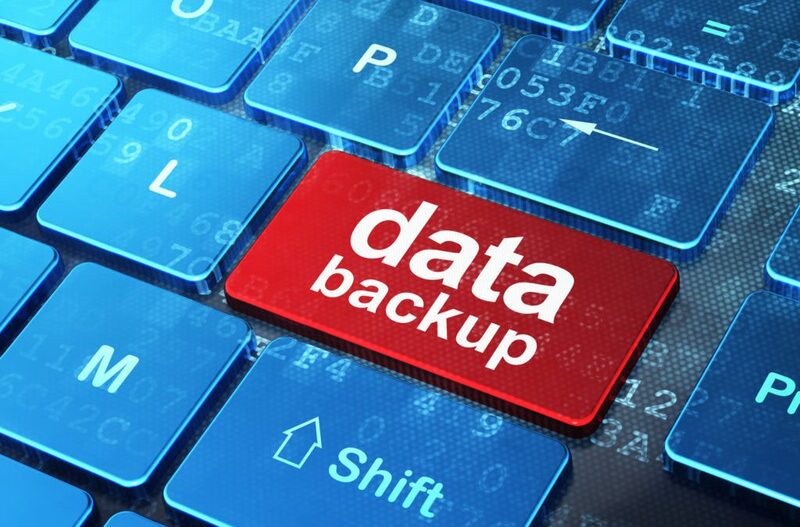 Let’s take a look at several common backup options and which is the best all-round for efficiency and knowing your data is there when you need it. We’ll start with the least convenient and reliable and move up to the best type of backup system to use. This method is going the way of the dinosaurs, but some people still rely on writable CD’s/DVD’s for copying and saving their data. While less prone to being damaged or scratched than CD and DVDs, flash drives are a small step up as a backup device. They do generally offer a lot more space and you don’t have to worry about USB ports being phased out anytime soon, but they do still have limitations. Moving up to the more reliable methods, using a local hard drive that connects to your computer via cable or wirelessly can make the backup process much more automated and give you the ability to back up multiple devices easily. Cloud-based backups offer many of the same benefits as external hard drives, with the additional protection of being accessible from anywhere since they’re cloud-based. So, your files are protected off-site in the case of a flood, fire, or other catastrophe. It’s best to us a dual-method to ensure you’re covered no matter what. Michalek Tech Help recommends using both an external hard drive and a cloud-based system. By using both, you’re getting the best of both worlds, you both have your data in your hands if you need to access it offline, and it’s safe in the cloud and you can get to it from any internet connected device. Plus, you’re doubly covered in the event of a crashed or lost computer or mobile device. Need Help with File Backup and Recovery? Our experts can assist you with urgent data recovery needs and also help you put the right backup system in place to keep all your files safe. Contact us for expert IT help anytime at 816-582-9317 or online.